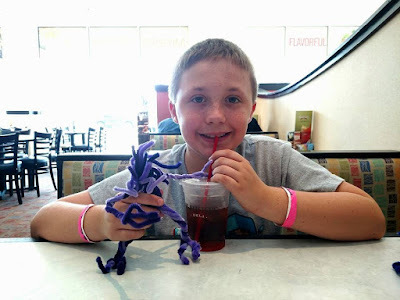 Griffin and I decided to have a little something different for lunch while we are in town so we went to McAlister's Deli. We just ran into our neighbors Warren and Carol here, such a nice surprise. 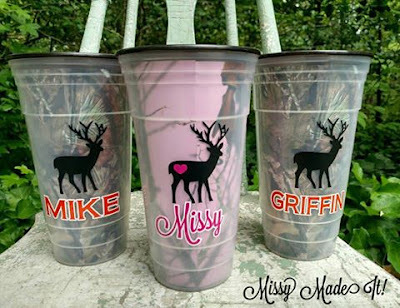 And, we just discovered they have a tea bar! Six stacked couches + six brown table clothes = an amazing Mt. 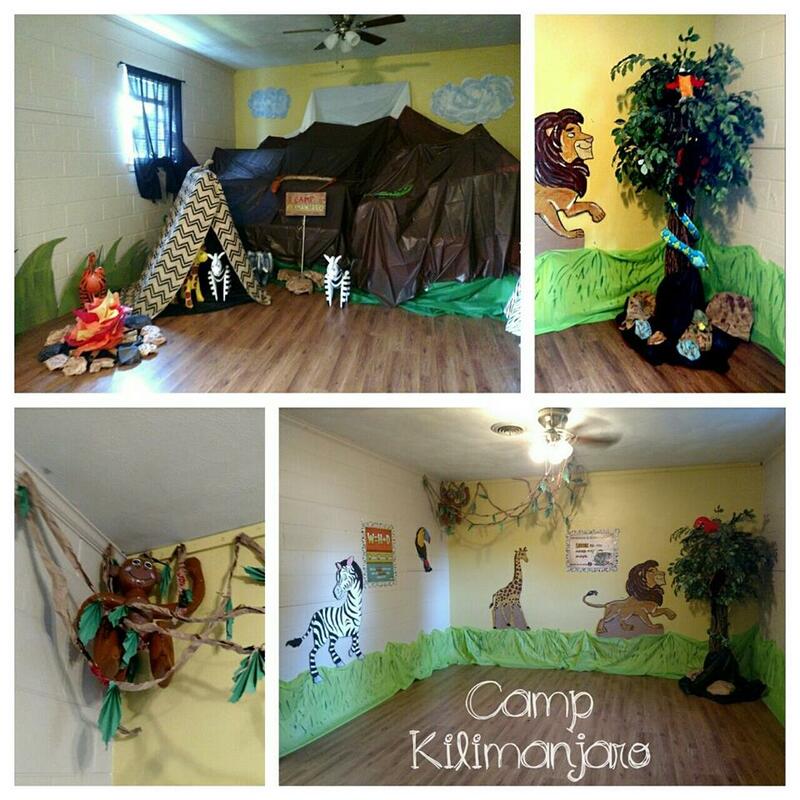 Kilimanjaro for our 4-5 year old classroom! 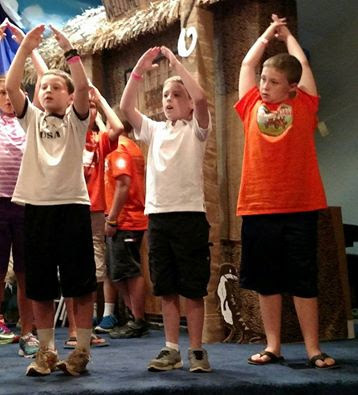 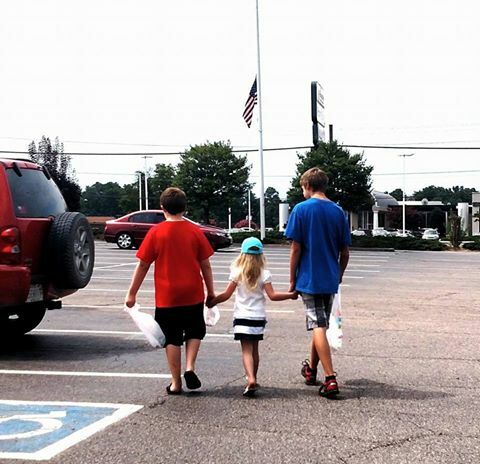 Out VBS shopping and they walked like this back to the car ~ makes my heart happy. 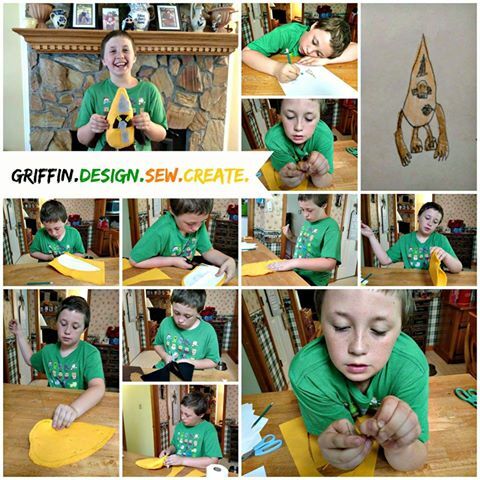 Griffin decided he wanted to make a stuffed 'grunt'. He designed it, made a pattern, sewed it, stuffed it and then embellished it. 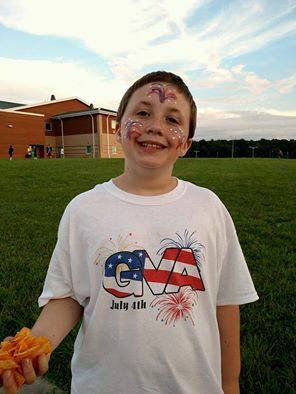 I think he did a fabulous job! 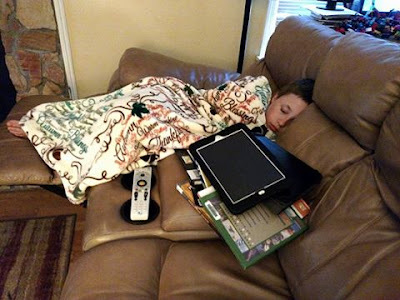 Someone snuck down stairs last night - looks like he had a busy night planned with the iPad, Kindle, books and TV. 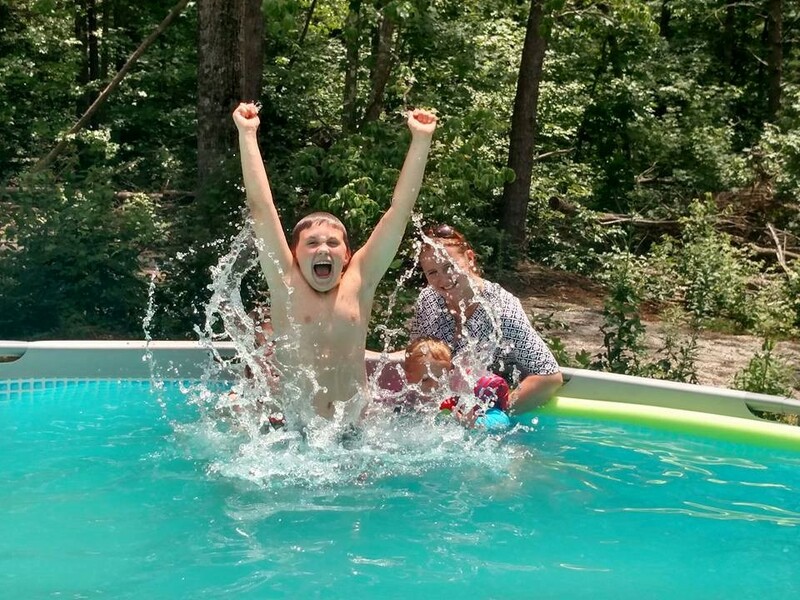 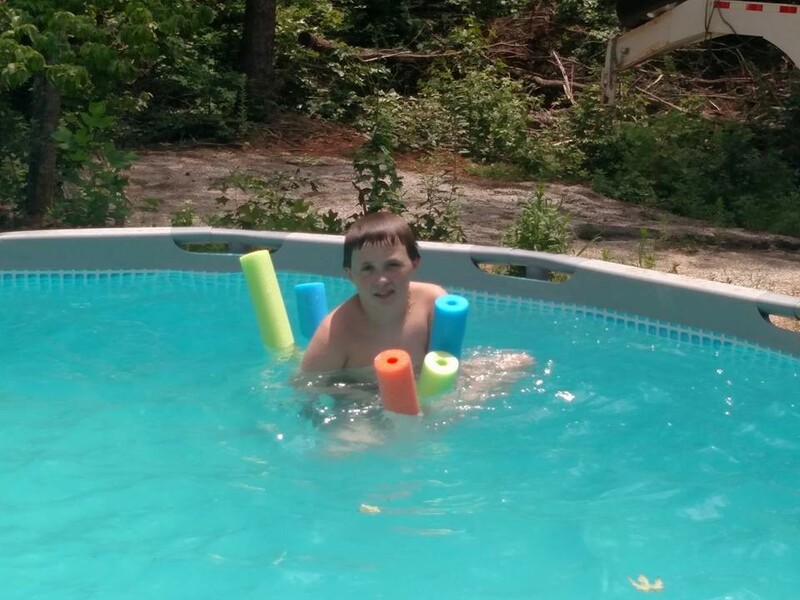 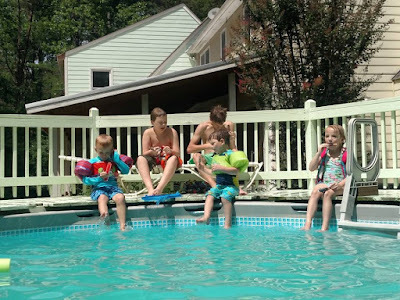 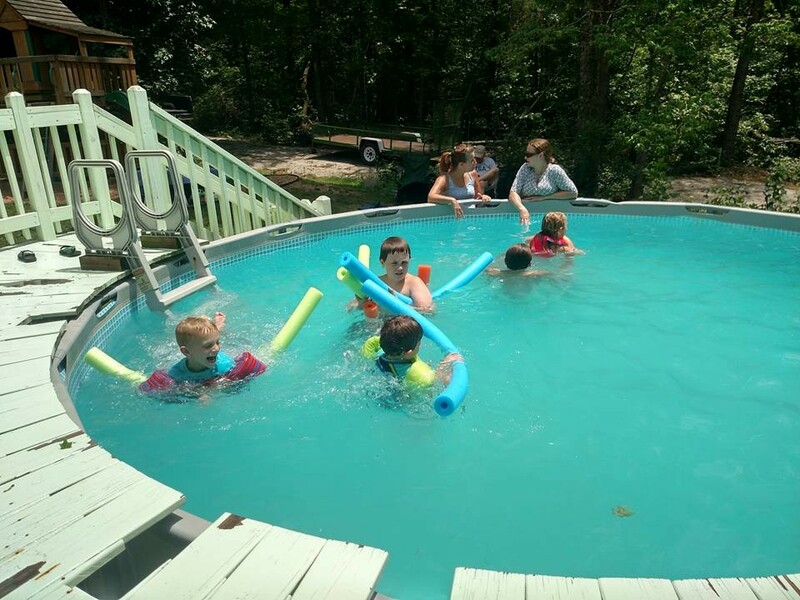 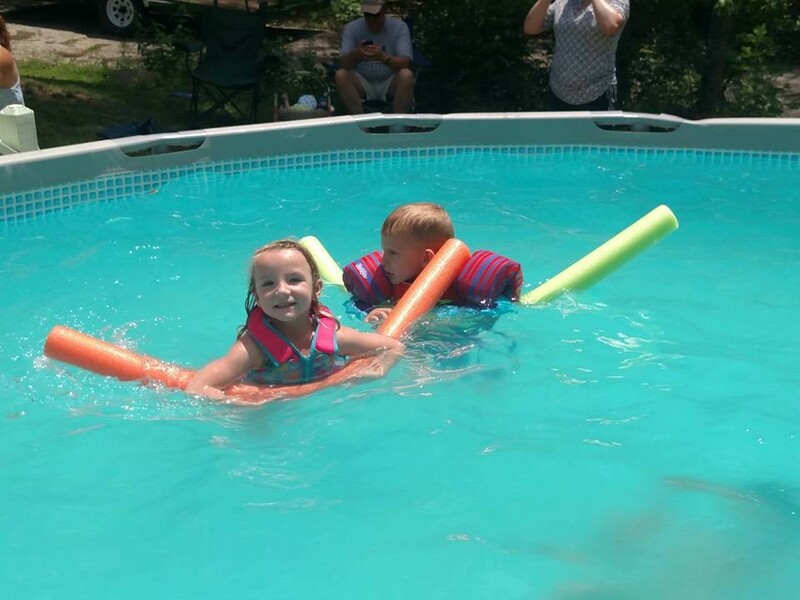 Is there anything better than pool time and popsicles on a hot summer day? 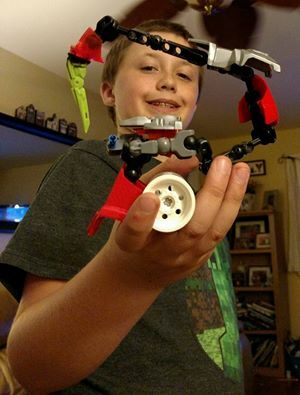 Griffin: "When I grow up, I want to build robots just like Daddy." Today we joined friends at the Goochland Library for a show by Jesse the Juggler. 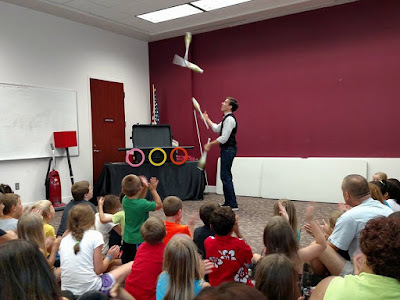 It was incredibly fun to watch! 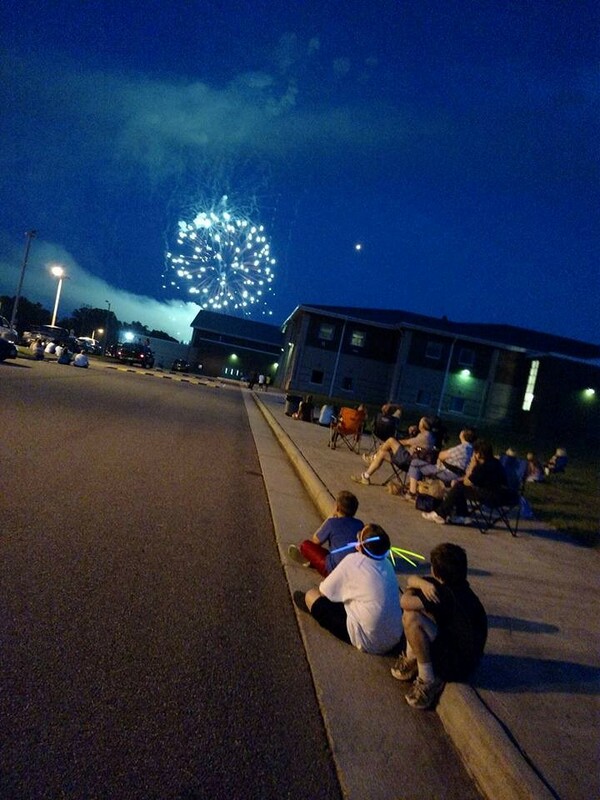 Independane Day ~ Goochland Style! 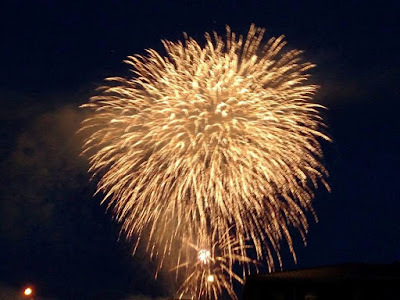 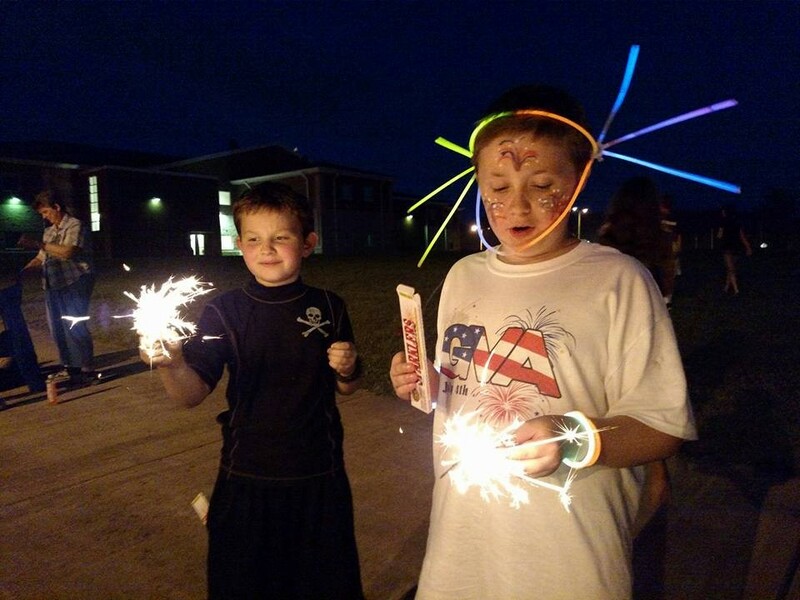 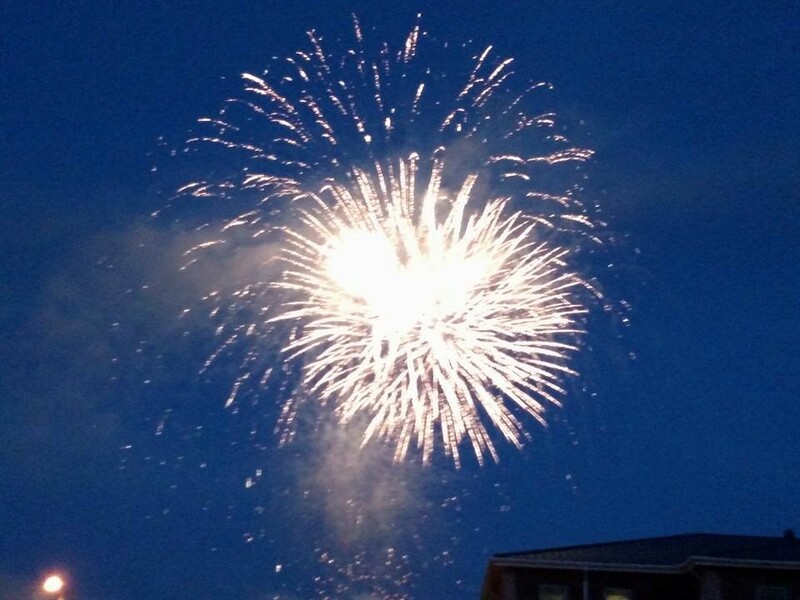 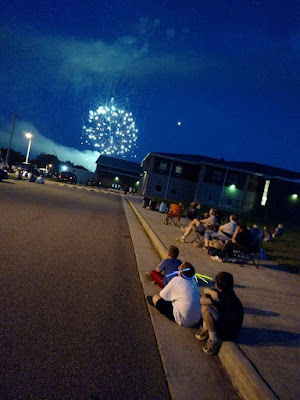 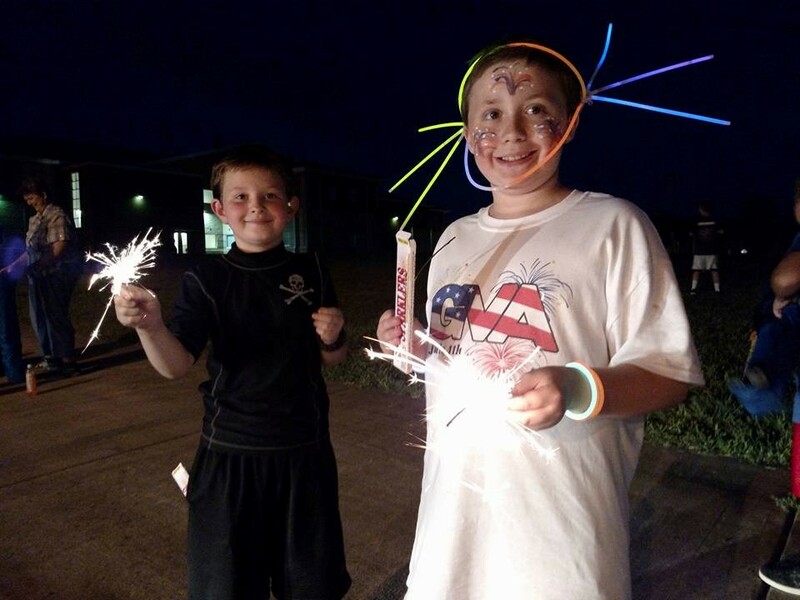 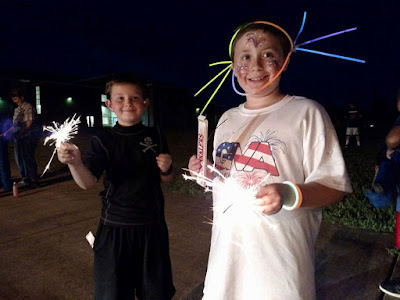 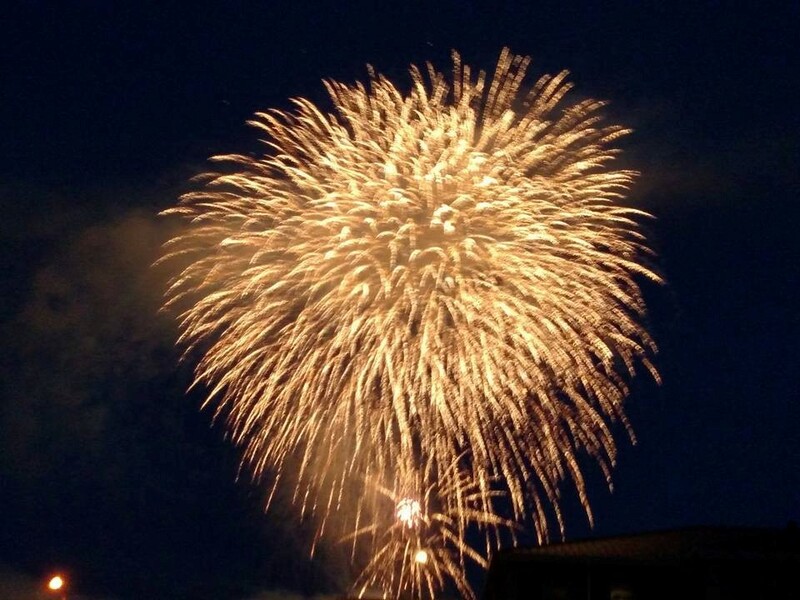 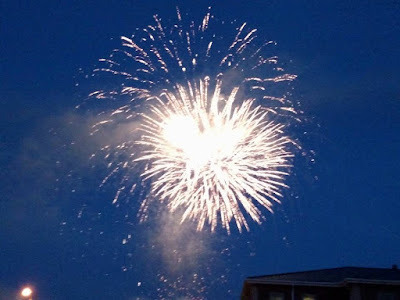 We celebrated the 4th of July with friends at the Goochland County fireworks. Custom vinyl deer cups I made for a camping trip.